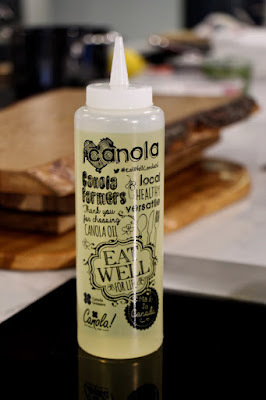 For the longest time, canola was the go-to oil in my family's kitchen. 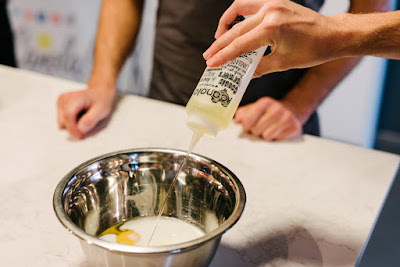 Growing up, it was the first ingredient in a lot of our recipes. 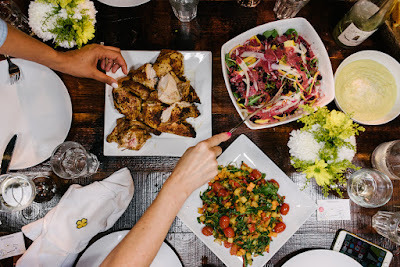 When I set up my own kitchen however, I stocked the pantry with extra virgin olive oil, coconut oil and grapeseed oil - figuring that I had covered my bases in terms of multi-purpose oils with varying smoking points. Why no canola? No real reason...I'd heard olive was healthy and the best oil to use, plus I didn't intend to do much frying in my personal kitchen, so I thought I had what I needed. I had overlooked canola and I recently realized, I've been missing out on an amazing kitchen staple. I was recently invited to attend a Canola Connect Culinary workshop with Chef Cory Vitiello (Flock/Harbord Room) at the Luxe Appliance Studio in Toronto. 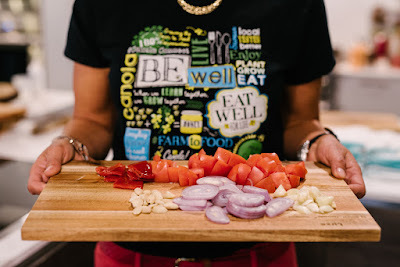 I'm so glad I was able to attend because not only did I enjoy some incredible company and delicious food, but I also walked away learning some essential information which has really changed the way I see cooking with canola oil. I thought I'd highlight what I learned in a blog post, because I figure there could be others out there who, like me, just don't fully know what they are missing. The first question I had was "What IS canola?" Canola is not a term I ever really got a grasp of as I didn't have an image of a plant to directly associate it with. With olive, mustard, coconut and sesame oils it's easy to understand where the oil comes from. But what about Canola? I learned that Canola is a green plant that grows in Alberta. The plant has tiny yellow flowers on it which make the fields look completely yellow from a distance. The seeds grow in small green pods and look like tiny black poppy seeds. The oil itself comes from crushing these tiny seeds. 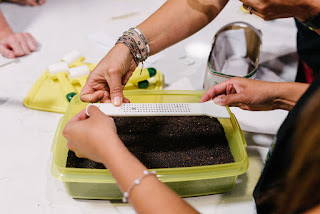 Just by rubbing the seeds between your fingers, you are able to extract a bit of the oil. What's left over is a bit of the seed's husk. I also learned that canola is one of two plants in the world that are only grown for the oil they provide. Canola oil is healthy? How come this is not common knowledge? I was surprised to learn that canola is one of the oils with the lowest amount of saturated fat. If you need numbers, I'll share that per 100g, it contains only 7g of saturated fat compared to olive oil's 14g and coconut oil's 87g. It is also high in unsaturated fat (the good kind) and contains vitamin E and vitamin K. It also contains omega 3, an anti-inflammatory which protects us from heart attacks and strokes. Canola oil is high in calories but it's high in good calories that help to increase good cholesterol(HDL) and lower bad cholesterol(LDL) in the blood. It's heart-healthy and dietitian approved. Canola oil is widely available in grocery stores and is easy to find. 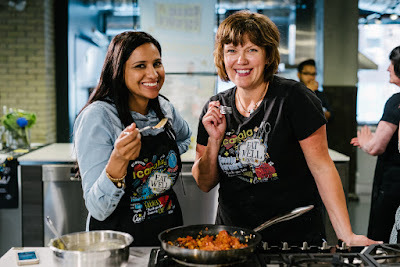 You won't have to go to a specialty store or market just to get your hands on some. Canola is grown in Canada's prairies and it is one of the most widely exported crops we have. Eighty per cent of Canada's canola crop is exported to other countries. Canadian made canola oil is also regarded as one of the best in quality and is popular in international markets. 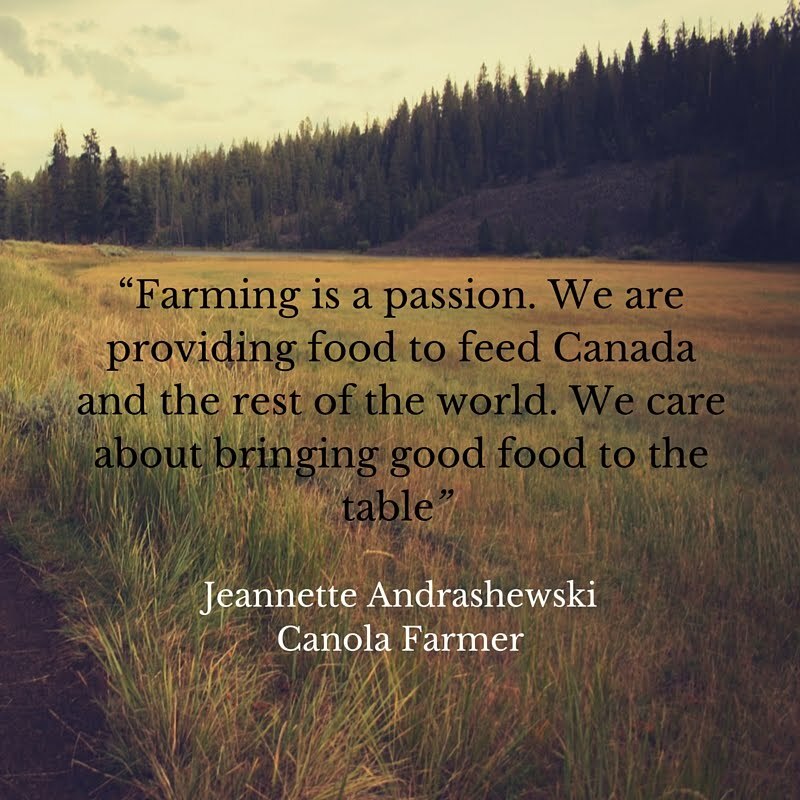 Over 43,000 family farmers grow Canola in the Canadian prairies. 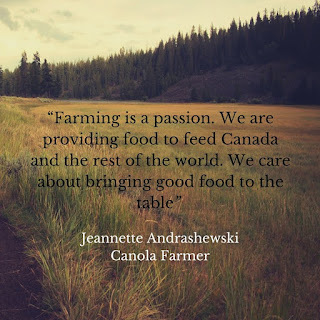 At the Canola Eat Well event, I had a chance to speak with Jeannette Andrashewski from Two Hills, Alberta who has been farming canola for the last twenty-five years at her husband's three-generation family farm. She told me, that they are very careful to ensure that their practices are sustainable. After the seeds are harvested, the leftover plant material goes back into the field as compost. The canola meal is also used for dairy cattle feed. It takes about 4 lbs of seeds to make about a litre of oil which means a lot can be extracted from each tiny seed. Classic canola oil is very affordable. This is what makes it such a widely used oil in so many households. Canola oil is priced at $8.47 for a 3L bottle, which is about the same price that you would pay for 500 mL of olive oil. Canola can also last for a year when it is stored in a dark, cool place. Cold-pressed canola oil is high in antioxidants, has a stronger taste, longer shelf-life and is a little more expensive. Canola oil can be used in a variety of ways and for many different purposes. It's great if you need to fry some fritters or potatoes but equally amazing in a low-fat homemade salad dressing. It has a high smoke point (450 degrees F) which means you can use it to cook things that require high heat. It's light in taste and takes on the flavours that you pair it with. This is what makes it such a great choice for baking, deep-frying and creating my favourite: herb and chili infused oils. Now that you have all the reasons why Canola should be in our cupboards and in our cooking, thought I'd share a quick recipe for a delicious way to use it at home. 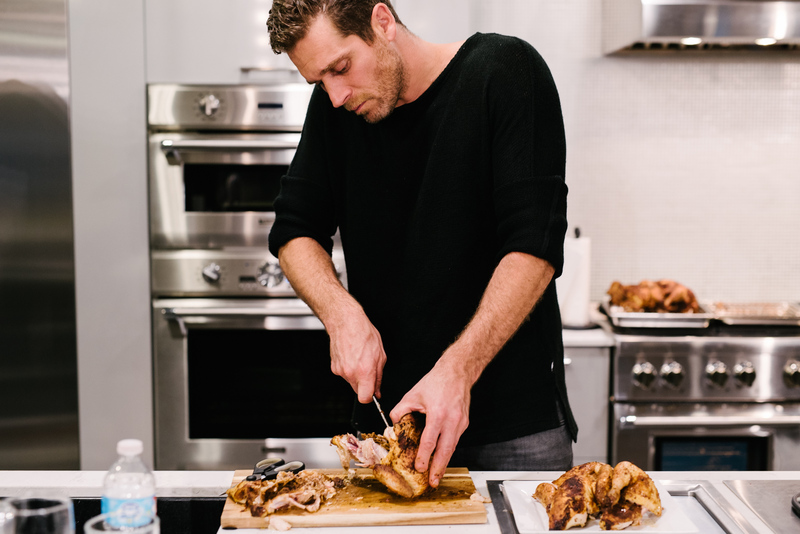 Chef Cory Vitiello walked us through the steps to making a delicious Romesco Sauce and I was intrigued! I've never made a romesco and this was quick, easy and flavourful. He paired it with Lobster Hush Puppies, but you could serve this with any type of meat or fish. If you're a vegetarian, I think it would taste incredible over a platter of roast potatoes or pasta. 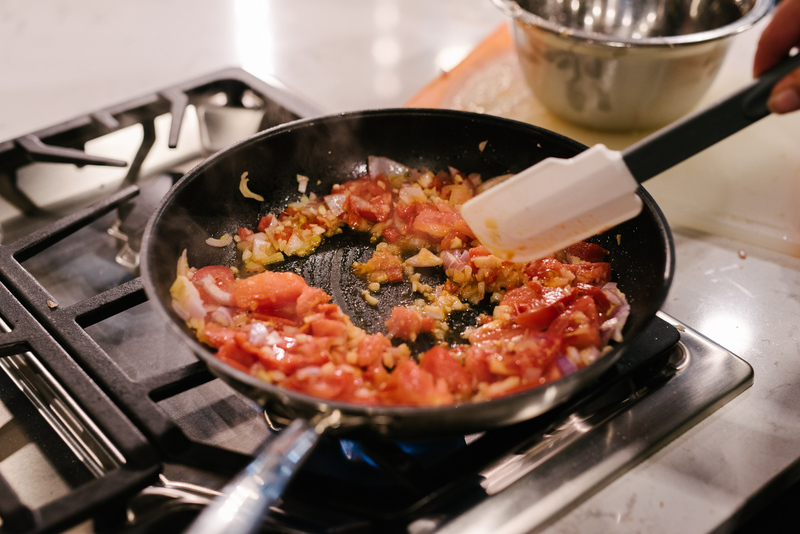 According to Chef Cory, there's no real recipe needed for this sauce- just play around and see what you think! My version is below - hope you enjoy it! 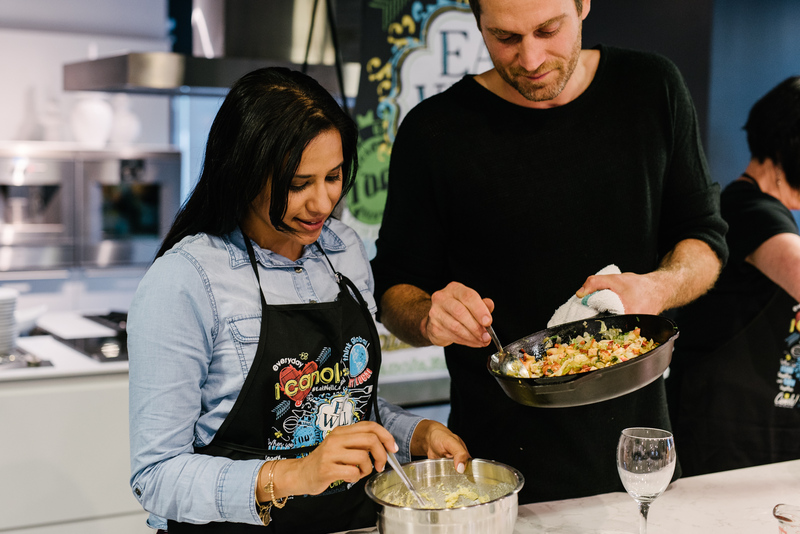 I can definitely feel good about cooking and sharing foods made with a healthier oil. On a personally level it's also great to know that in buying it, I'm supporting local businesses and Canadian farmers.